Going for Growth is seeking 60 participants for new cycle; Previous participants on this award-winning programme report increased employment, sales and exports. Going for Growth is inviting applications from ambitious female entrepreneurs, who are serious about growing their business, to apply for participation in the 9th cycle of this award-winning programme. The programme will run from February to June 2017. 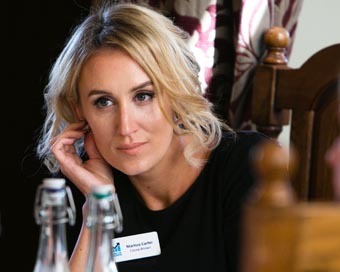 The initiative, which is sponsored by Enterprise Ireland and KPMG, offers a unique programme of peer support focused on growth to women owner managers, regardless of sector. There is no charge to those who are successful in being selected. The selection process is competitive and the critical factor is that successful applicants need to demonstrate a significant desire for growth. Ideally the businesses will be well established and will have been trading for at least two years. The closing date for applications is 20th January 2017. Female entrepreneurs are characterised by a higher degree of risk aversion, lower rates of opportunity recognition, growth aspiration and confidence. They are more influenced by their network, but this network is made up of family and friends to a greater extent than is the case for men. They are more focused on consumer services in the national market. Based on research in this area, Going for Growth was designed and developed in 2008 to meet the challenge that these differences posed to the relative return on female entrepreneurial effort, which was much lower than that for males. Over 450 female entrepreneurs have participated in the initiative to date. The evidence from these previous participants is that the peer support approach delivers major impacts for both the entrepreneur and for her business – reducing psychological isolation and increasing confidence, motivation and know-how, which leads to the achievement of growth goals. Reports from last year’s programme show participants’ businesses experienced a combined growth in sales over the cycle of €7.5m (+28%), the number of exporters increased by 43% and employment in participants’ businesses rose to 485 (+ 17%). Going for Growth won the European Enterprise Promotion Award 2015 – Investing in Entrepreneurial Skills Category, further evidence of the strong reputation the initiative has for delivering real impact for participants and their businesses. Going for Growth is based on the principle of entrepreneurs supporting entrepreneurs and the belief that entrepreneurs learn best from each other. Participants work in round table groups led by successful female entrepreneurs and businesswomen who share their experience and insights with the group on a completely voluntary basis. Successful businesswomen who have committed to become voluntary Lead Entrepreneurs for the next cycle of Going for Growth are: Áine Denn, Altify; Maeve Dorman, PayPal; Nikki Evans, PerfectCard; Monica Flood, formally Olas; Mary McKenna, Tour America; Marian O’Gorman, The Kilkenny Group; Oonagh O’Hagan, Meagher’s Pharmacy Group and Susan Spence, SoftCo.